For some that truth is horses are dangerous, for others they are an icon of beauty and freedom. Horses touch our emotions like few concepts or experiences can. Experiential education is a way to extend truths and engage emotions in learning by doing. The premise, get people out of their comfort zone to access emotions and the corresponding problem solving skills that rarely are generated through reading or listening. Experiences familiar to enhancing leadership learning or team interaction are ropes courses and rafting. Working with a horse represents yet one more option, the key difference being horses introduce the aspect of free will. A leader must continually manage interpretations and perceptions of both external and internal influences. While height, a rock face or rapids may be a metaphor for the challenges of the workplace, reaction to the obstacle determines the stress we put ourselves in and ultimately the outcome. As a prey animal the horse’s will is to survive, to do that they are keenly aware of their environment. The metaphor of the horse in leadership, team or change management learning represents the multiplicity of outcomes. Unlike a rope that will hold despite demonstrated fear, a horse may not. It is the relationship you build and the emotional intelligence that you demonstrate that determines the result. The Equine Guided Education Association holds an annual conference in Valley Ford, California. 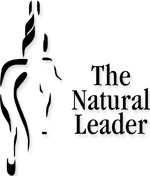 This year I had the privilege of presenting an example of the work The Natural Leader offers. The focus of the presentation was to demonstrate how horses support emotionally intelligent learning. The Big Picture provides a three-dimensional perspective on the attributes of awareness of self and others. The Big Picture brilliantly demonstrates how horses quickly reflect our emotions. Observers are given a glimpse as to how emotion and intention might be perceived by others through our actions. Like any new leader, as I walked through a different herd awareness was on high. When my actions began to demonstrate negative energy and the emotions of anger, disgust or fear the impact on the horses was powerful. My energy represented how we can be so wrapped up in our own thoughts that we can’t see when our actions are perceived differently by others. Inadvertently sending the wrong message. As I talked through the objectives of the activity bringing my energy down to acknowledge the presence of others and my actions demonstrated the emotions of interest and acceptance. The horses immediately reflected the change and were willing to not only engage but were prepared to accept me. The Big Picture activity has always brought to attention some of the most meaningful discussion and memorable moments in our programs. Developed from the concepts outlined in the 2001 article The Work of Leadership, the activity offers participants the opportunity to view interaction of the herd before they get into the midst, or as Heifitz & Laurie suggest on to the dance floor. As a leader we must not only face the external challenges but our own internal ones. Developing our emotional intelligence through active and reflective practice helps us respond better when the stakes are high. By recognizing when and how our emotions are demonstrated through our actions we inspire the will in others. If a year could be captured by an image, 2008 would be a roller coaster. Political, social or financial, it was a year of emotion. With stories of fear leading in the news, managing reaction and creating hope in 2009 will be the greatest challenge. Emotion, reaction and risk go hand-in-hand. If leadership is defined by a willingness to take risks, then 2009 is the year of opportunity. Our greatest gains in developing our emotional intelligence happen when we step outside our comfort zone. As some of you have experienced risk and emotion are inextricably linked when it comes to working with horses, that is also what makes them perfect for leadership awareness learning. Time and again I am experiencing that with Rhys. I have previously written of a tumble off of Rhys, well the whole story is a concussion and cracked vertebrae. So yes, I see a bit more risk in riding him. That is where my problems lie, you see as my mirror he is also reflecting my emotions. If fear surfaces, I no longer can be effective in communicating with him. I’ve seen similar debilitating emotions show up through the simple act of meeting a horse, deciding to make that next career move or having that uncomfortable conversation. What I recognize is that something that sounds simple is not necessarily easy when the action is outside of your typical comfort zone. Learning to recognize the emotions that show up for you and how you want to reflect them based on knowledge and skill you already possess will help determine what actions define your next step. Regardless of what 2009 has in store for each of us we can only manage how we respond and react to the opportunities presented. Leadership is about managing the emotional roller coaster we find ourselves on – whether it is a ride we choose or one that shows up. In the Canadian Food Inspection Agency’s search for innovative learning for our New Wave Leadership Development Program, I was given the opportunity to attend Leadership: From Horse Sense to People Smarts offered through the University of Calgary. The synopsis suggested “gain insight into your leadership skills through hands on activities with a horse”. I was excited and at the same time curious to find out how a horse will help with my leadership development. My first task sounded simple enough, take Maddison for a walk. I quickly found out that if a horse does not want to move, no amount of pulling or pleading would change that. Frustrated by the motionless horse and myself, one of the assistants asked me, “So what do you think you might try?” I stood there dumbfounded, I didn’t know. “Do you know where you are going?”, she asks. I really did not know where I wanted to take Maddison, I just wanted to get her moving. There I realized my problem, would a colleague or staff want to take directions from me if I didn’t know where I was going? Amazingly, once I focussed on a clear direction, we began to execute it. She walked half way and stopped. “Okay, what’s wrong now? I have a clear path, let’s get there”. All the success I felt in the last 10 seconds had disappeared. I turned to look at Maddison and tried to encourage her to move on, she wasn’t interested. I was then asked, “How do you think you can motivate Maddison to move?” I had to put my thinking cap on. Can’t bribe her with food, maybe I should try a different direction and keep it interesting for her. After many painful moments of trying to figure out how to effectively communicate with Madison and to keep her motivated, we finally made it to the barn door across the arena. We did not achieve this through a straight line, we zigzagged and circled the arena, but we achieved our goal. This really put into perspective the challenges many project managers face in executing a task. We may have an idea of how and when we want to achieve our goals, however, others may not accept our methods. Rather than pulling and tugging, we need to be creative and accept the notion that every individual have their ways of doing things, and we can still achieve the same results. There is not a better teacher than a horse who will provide real time input and feedback that is 100% honest and immediate. For those who cringe at the thought of performance reviews, you may not like what the horse will tell you. But once you realize that you have done it right, there is no better reward and satisfaction. Believe me, Maddison gave me many confused looks and was not cooperative at times. It wasn’t till we developed a mutual trust, and I was confident and clear in my focus, that she accepted me as her leader. Of the many lessons Maddison taught me that day, one thing is for certain, when working and dealing with people, you CAN’T FAKE GENUINE.